KINGSTOWN, St. Vincent, Dec 14, CMC – The main opposition New Democratic Party (NDP) which says it will boycott parliament in protest at the “flawed” results of the December 9 general elections, is questioning the role of the various regional and international groups that observed the polls. “CARICOM will say, it is free and fair, the OAS can say it was free and fair. We in the New Democratic Party say it was not free and it was not fair. And at least I have been in contact already with three OECS prime ministers on the matter of this election,” NDP leader Arnhim Eustace told an NDP meeting here over the weekend. Eustace told party supporters that the election observers come to here “too late to make any meaningful decision” and that he had communication that concern to the Commonwealth observers. “When all of the work is going on, when people are being registered who should not be registered in particular constituencies, they are not here, and, therefore, they are often not in a position to really observer — that’s the word they use, ‘in-depth’, and therefore really make decisions. “I had the same problem before in 2010. Often they make decisions, which we don’t agree with,” he said, noting that with all the observers were also present in the counting room in Central Leeward. “All of them know about the conditions that were faced in that room. If they say otherwise, then that’s a matter for then,” he said. The Organization of American States (OAS), along with the Caribbean Community (CARICOM) and the Commonwealth had sent teams to observe the poll that was won by the ruling Unity Labour Party (ULP) of Prime Minister Dr. Ralph Gonsalves. The ULP won by a margin of 8-7 mirroring the 2010 results. But the NDP insists that there were too many irregularities in last Wednesday’s polls and is refusing to accept the results. In its preliminary report, the OAS made reference to the “civic spirit of the population shown in peaceful and successful elections” urging also that “the established electoral procedures be utilized to address any differences or disputes that may arise”. The OAS mission was led by Jacinth Henry-Martin, the former St. Kitts and Nevis Ambassador to the hemispheric body. For its part, the Commonwealth Election Observer Team said “based on our observation and exchanges with a broad range of stakeholders since our arrival, our preliminary conclusion is that the elections were generally peaceful and relatively well conducted. “The shortfalls observed to date by members of the Team are not significant enough to put in question the credibility of the outcome,” it said, adding that it had “heard allegations of serious irregularities from one political party. Former NDP legislator John Horne told the meeting that the OAS should not have selected Henry-Martin to head the delegation. “I have one question to ask the OAS. What was the basis on which you selected the leader of this delegation this time? 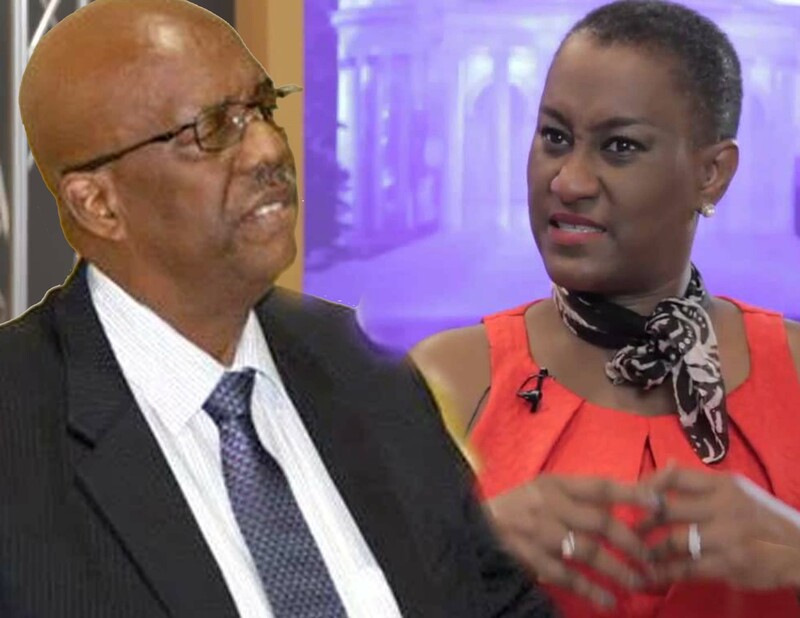 They should have been sensitive enough and aware enough to know that Mr. Eustace and the NDP gave a platform to the new prime minister of St. Kitts (Timothy Harris) to air his views to be heard by the world when Denzil Douglas was refusing to call the Parliament,” he said. Horne said he understands that Henry-Martin was a part of the Douglas government. Attorney Sharon Cummings, told the NDP meeting that the OAS observer mission was in the Layou constituency where the final count took place last Thursday. “And, the objections we were making, at times we turned to them and explained to them why we were saying that. But, we made our objections in sight and hearing of the observers, both CARICOM and the OAS. “I mean, we will not be responsible for what they report, but, certainly, in a particular matter, I took the time to explain to Mr. Gaymes (the returning officer) why I was asking him for a certain document and I spoke out loudly for the observers to hear why I was asking for a certain document. And he refused to give it to me — in earshot of the observers who were there,” said Cummings, who is wife of Daniel Cummings, an NDP candidate who won the West Kingstown seat for a second consecutive term.